The circuit and everything is just like the old blackface F___ Deluxe-Reverb AB763 of the 60s, with the exception of an added bright switch and a Cesar Diaz mod switch to cut the tremolo tube out of the circuit for an added gain. 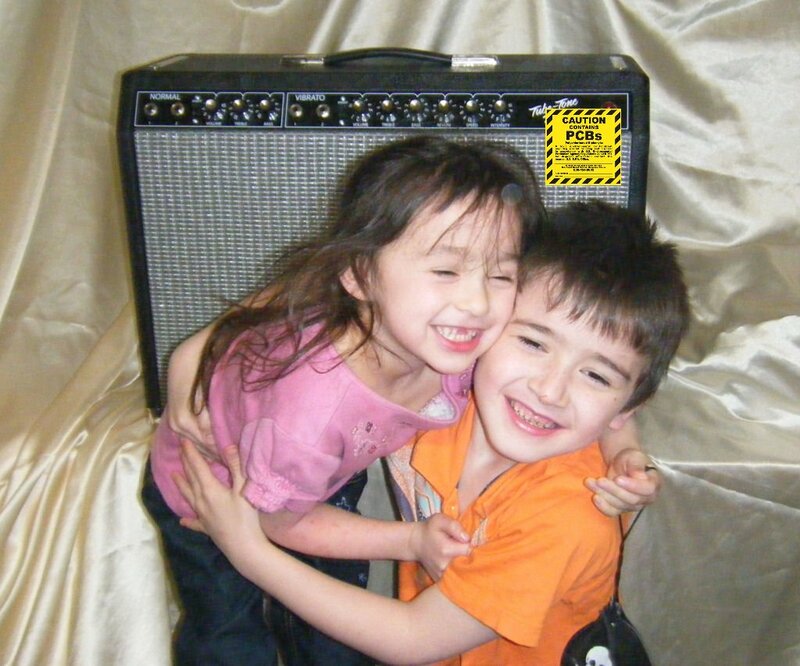 Tubes are (4) 12AX7, (2) 12AT7, (2) 6V6, (1) GZ34. 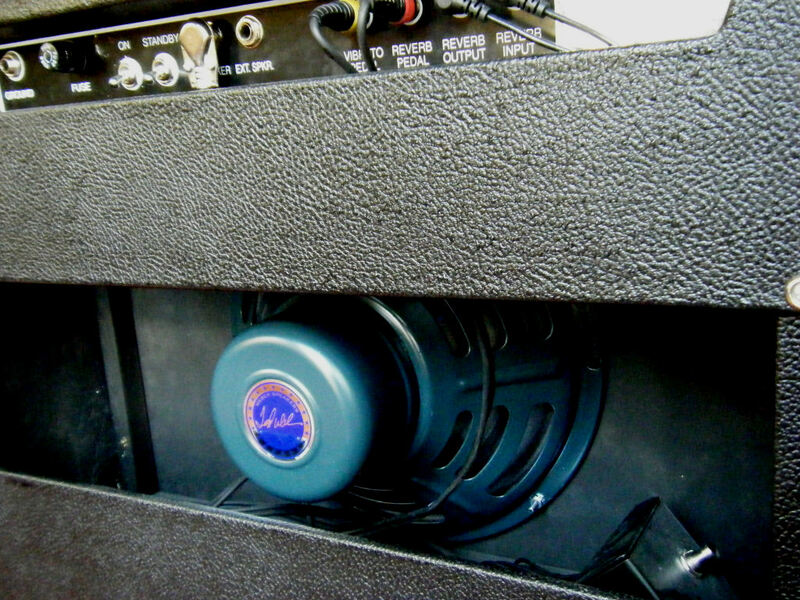 22 watts with 12" Weber alnico speaker. 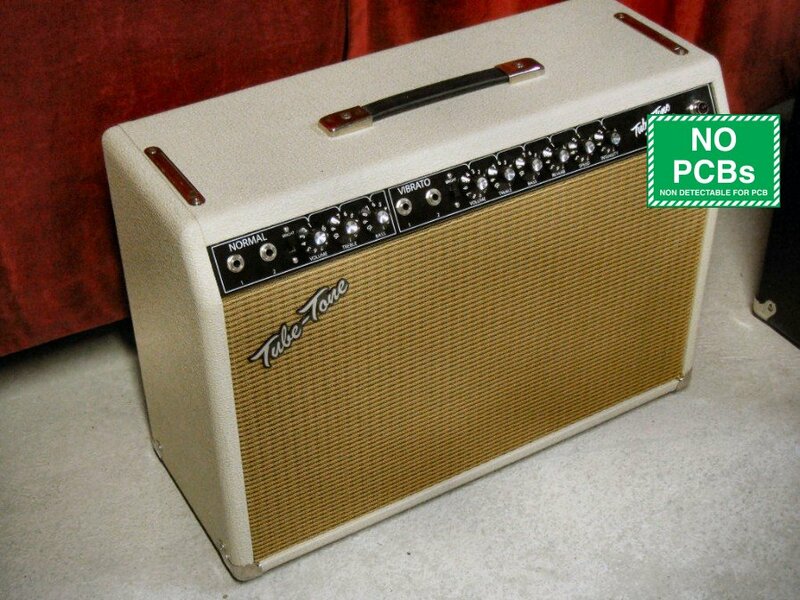 These are just like the old blackface F____ Deluxe-Reverb of the 60s with the exception of an added bright switch and a Cesar Diaz mod switch to cut the tremolo tube out of the circuit for an added gain. 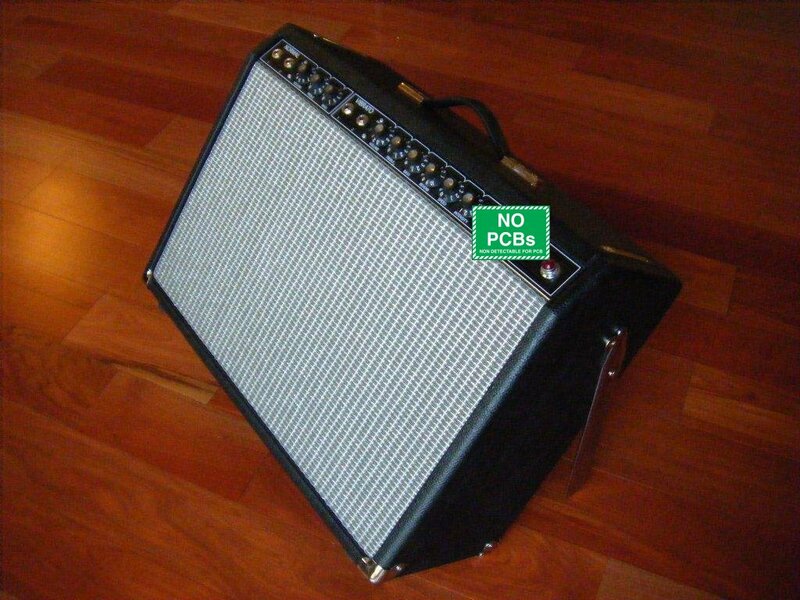 We also have optional Fender tilt-back legs that allows the sound to really fill any room when tilted back. Literal "In your face" sound. 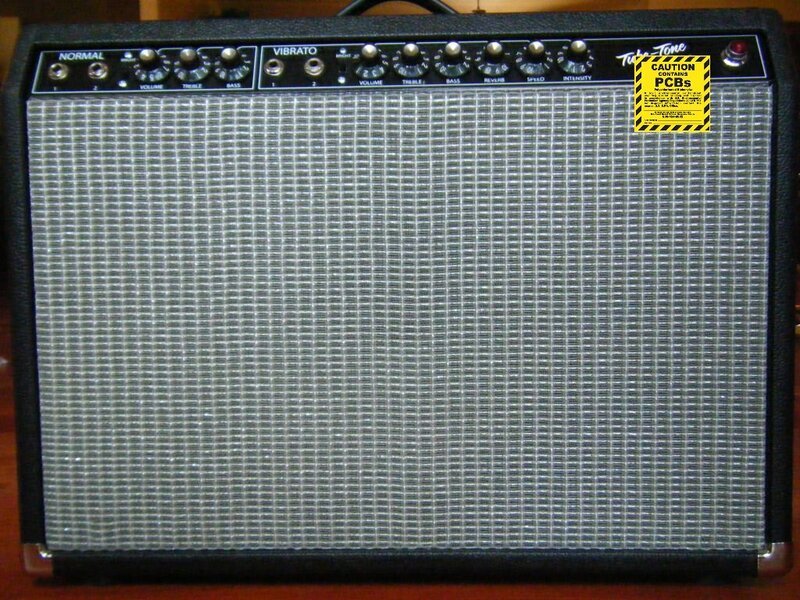 :) You'll never have to search for a crate or chair to sit your amp on again. Deposit for Tube-Tone Delicious amplifier. Total price is $1585 with free ground shipping in continental US, or $1540 plus shipping to other destinations. Please inquire on our discounted FedEx and GLS shipping price. Specify cover and grill cloth, pilot light color, 120v or 230v. California residents, sales tax is added.